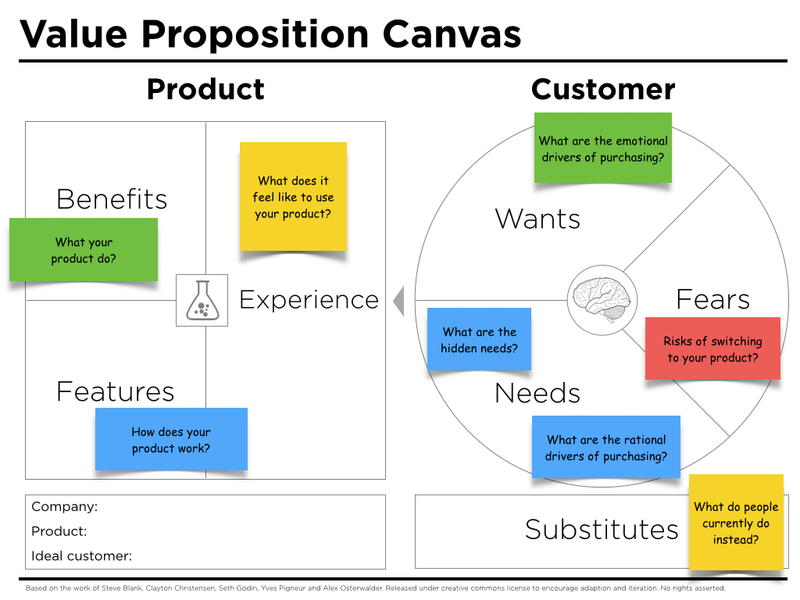 Each section of the improved value proposition canvas includes questions to ask when filling in the chart. 1. How does your product work? 2. What does your product do for your customers? 3. What does it feel like to use your product? 4. What are the rational drivers of purchasing? 5. What are the emotional drivers of purchasing? 6. What are your customers hidden needs? 7. What do people currently do instead?